Jan O'Sullivan, the Limerick minister who will be involved in the launch of the new energuy initiative "Let's Conserve Energy Together Better." A GOVERNMENT directive that prevents lecturers from being paid for extra teaching hours could jeopardise college courses for hundreds of Limerick jobseekers. 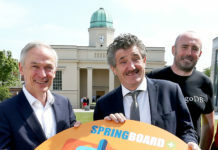 Some 200 unemployed people recently commenced third level courses at the University of Limerick and Limerick Institute of Technology under the Springboard programme, which provides free higher education courses for jobseekers. However the new directive, which has been sent to all universities and institutes of technology in Ireland, states that academic staff will not be paid for any extra work on blended or online programmes that run outside their normal working hours, such as Springboard. 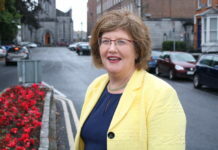 Education Minister Jan O’Sullivan said that the intention behind the directive is to ensure that workplaces are acting in accordance with agreements such as Haddington Road and Croke Park. “But there is a situation whereby a case can be made and that is open to the universities, including the University of Limerick. They can make a specific case in relation to their particular practices, so it’s not absolutely black and white”, the Limerick Labour Party TD explained. “This arises from general cutbacks right across the sectors over the last number of years. We simply had to get our economy right; we had to get our fiscal situation in balance and we are on target for all of that. 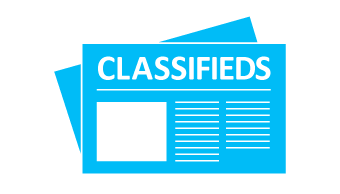 Unfortunately there has been pain for a lot of people right across all of the employment sectors, so it’s putting that kind of measure in place, but cases can be made for exceptional situations,” added the Minister. 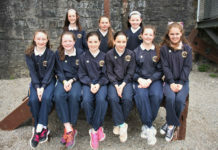 Regarding the Springboard initiative, Minister O’Sullivan said that the Government does not intend to in any way “emasculate or stop programmes that are positive”. She added that she is “confident that we will be able to address” the issue as a result of the directive. Paul McCutcheon, vice president academic and registrar at the University of Limerick said the directive poses the college “with challenges”, but added that UL can make a business case to the Department of Education and Skills. “We do a lot of industry-facing and industry-linked programmes such as General Motors, Intel and the Springboard programmes and we are a leader in that sector. But I am reassured that we can make a business case to the Department, because we will make a very good case, and I look forward to a positive response,” he said. 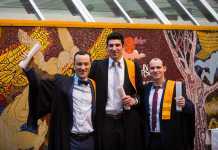 Bright future ahead for Limerick graduates. UL get into the business of awards.